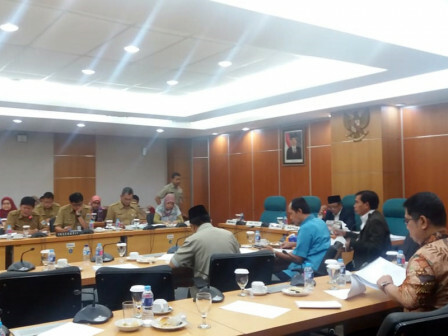 Jakarta Council (DPRD) gives approval to Jakarta Maritime Agriculture Food Tenacity (KPKP) Dept. 's proposal regarding ship docking facilities and house construction budget in KUA-PPAS 2019.
" There are many small fishermen who complain because their boats are difficult to dock"
Jakarta KPKP Dept. Head, Darjamuni mentioned, his side proposes budget Rp 674 million to build docking house in Tidung Besar Island and budget around Rp 767 million to build ship docking facilities in Untung Jawa Island in KUA-PPAS 2019. "There are many small fishermen who complain because their boats are difficult to dock. Thus we propose budget to build docking house for them," he said, Wednesday (10/31). Jakarta Council Commission B Head, Suhaimi admitted his side has approved KPKP budget proposal to fulfill fishermen needs in Seribu Islands. "We are focus to help small fishermen thus their boats can be moored to the dock without difficulty," he mentioned.